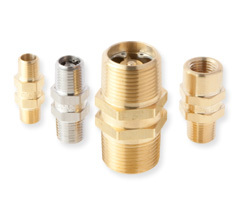 Generant check valve products are offered in several series ranging from ultra-low cracking pressures widely used in medical devices, products optimized for cryogenic applications and severe service designs with MAWPs up to 10,000 PSI. 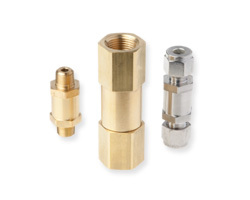 Available in fixed via spring and adjustable crack pressure models, a variety of materials of construction, sizes and porting configurations, Generant check valves provide viable product solutions for the most demanding applications. 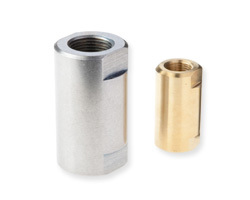 Design: Adjustable Crack Pressure, One Piece Body, Poppet Type Check Valve. Field Adjustable and/or Supplied Factory Preset. Configurations: Male NPT and Female NPT. 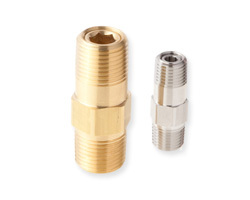 Materials of Construction: Brass and Stainless Steel up to 3,000 Psi MAWP. Design: Compact, Poppet Type, Instrumentation Check Valve. Configurations: Male NPT, Female NPT and BI-Lok Dual Ferrule Tube Connection. 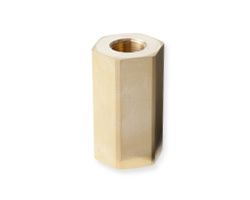 Many standard seal materials and crack pressures. Available Cleaned for Oxygen Service. 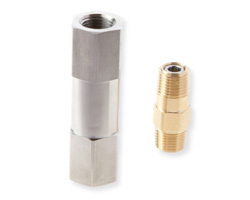 Generant offers a variety of Cartridge Check Valves in various materials of construction that are easily manifold mounted. 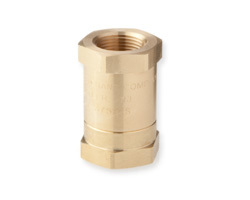 From 5/16” to 1-1/4” OD and Pressures up to 6,000 psi, these offer system designers flexibility in tight areas and eliminate inlet and outlet connections. Design: High Flow, Poppet Type Check Valve. 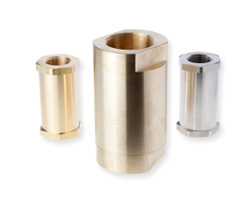 Materials of Construction: Brass to 3,000 Psi, Stainless to 4,500 Psi MAWP. Available Cleaned for Oxygen Service and for use in Cryogenic Systems. 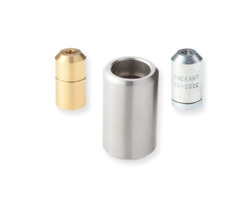 Design: Compact, Economical One Piece Body, Poppet Type Check Valve.